Dream weddings are for everyone. I know that Bridal is in the title, but this is a safe space for the LGBTQ community, as well as asexual, polyamorous, polygamous, and pan-sexual partnerships. Everyone deserves the chance to love whomever they want to, and everyone loves a great deal. 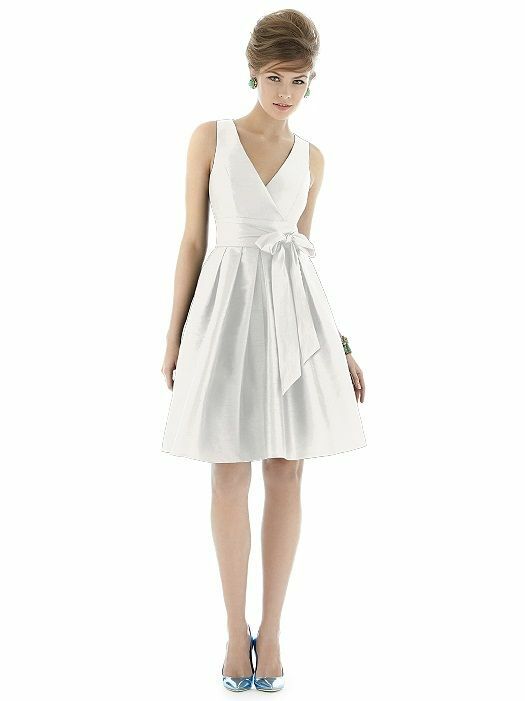 Alfred Angelo has an excellent collection of vintage inspired bridesmaid dresses that could DEFINITELY be dressed up or down and be worn again. One of the best ways to save money is to cut the cost on your wedding gown. The easiest way to do that is to buy a "non-traditional" gown. When people hear the word "Wedding" they see $$$$. Bridesmaid dresses are a really easy cheat to avoid that cost. I bought a short Mori Lee dress for my wedding that was all lace for $150. Others have bought her floor length lace gowns for $200. If you aren't interested in a train this is such an easy way to cut the cost and get the dream dress! Most of these gowns will be between $150-$200, and as a bonus all orders over $25 from The Dessy Group come with a free tote bag! What do you think? 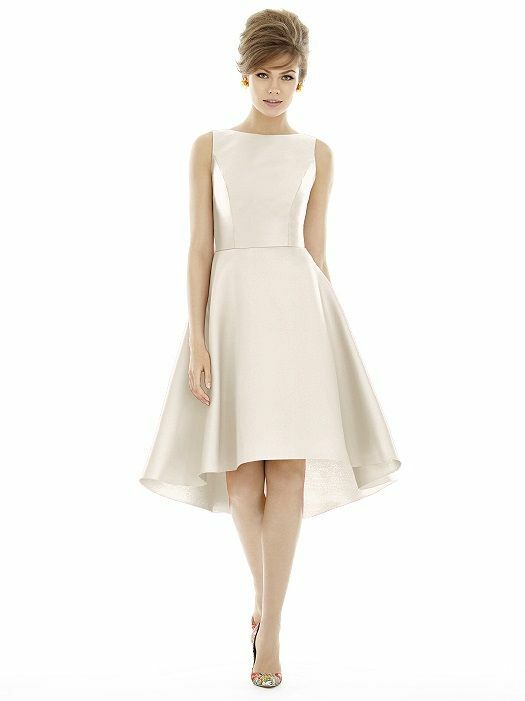 Would you wear a bridesmaid dress as your wedding gown? Let us know in the comments! Follow Bridal Bargain Hunter's board Short and Sweet on Pinterest. 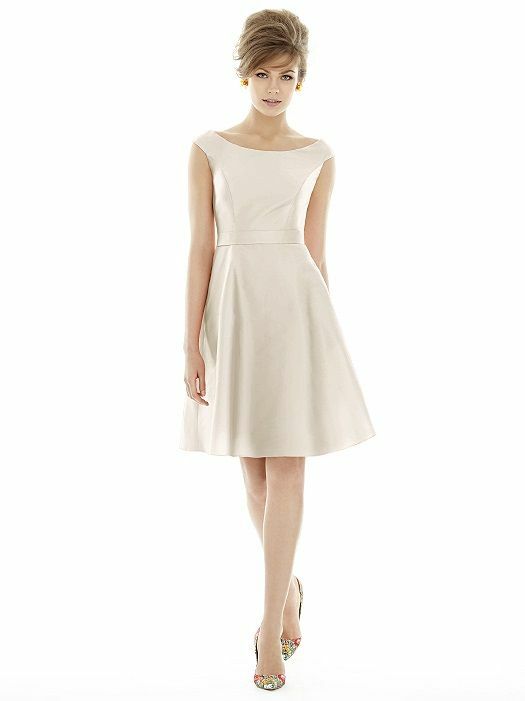 You can find some Alfred Sung designs at Nordstrom and Amazon.